Disclaimer: This is not a sponsored post however this product was sent to me for reviewing purposes. This has not altered my view on the products in anyway. Have you heard about lamelle? lamelle Research Laboratories are cosmetic dermatology researchers who create products in South Africa specifically for South Africans and South African skin concerns. “Did you know that free radicals are atoms or molecules that have one or more unpaired electrons making them ‘reactive’ with other atoms or molecules creating cellular injury? When the free radical molecule involves oxygen, we call it a REACTIVE OXYGEN SPECIES (ROS). ROS is a free radical. •The production of energy from the food we eat is a source of free radicals. •2-5% of the oxygen we breathe is converted to Reactive Oxygen Species (ROS) free radicals. In other words even at rest, we are producing ROS. •The more oxygen we consume, the greater the amount of ROS we produce. This is especially true in athletes or people with a more active lifestyle. The body has several antioxidants to combat these Reactive Oxygen Species. An anti-oxidant is a vital molecule that has the ability to deactivate ROS. Lamelle Research Laboratories offers the most comprehensive free radical protection system against free radical damage. I have been sent the Multi Active Sun 30 from lamelle’s Nourish range which is a sun cream. First impressions of the product is that the packaging is minimalist. The colour of the cream is a light beige, not white like lots of sun creams, I assume this helps not making the product have that striking white suncream effect which a lot of other products do. The concentration of sun cream initially is thick but this absorbs into the skin in little-to-no time at all. Once the product is absorbed into the skin there is no glossy appearance to the skin. There is a slight “sun cream scent” but it is not overpowering and once worn for a few minutes seems to disappear completely. The concentrations of the product contains Pycnogenol which is significantly proven to reduce free radical formation, just like the other products in the Nourish range. Multi Active Sun 30 is not waterproof, and as such needs to be reapplied to the skin after sweating and/or exposure to water. You need to use quite a lot of product in one go, I assume this can be reduced however this would then reduce the amount of skin protection you receive making the product redundant. The price is slightly off-putting at first – R351.00 for 70ml. It is not a lot of product but the consistency of the product and the results it gives really makes it worth the price in my eyes. It is advised that if you get sunburnt that the Multi-Active Sun 30 will work hand in hand with the Nourish Rescue Repair Gel if burning occurs to the skin. Would I purchase this product again? Yes. Would I reccommend this product? Yes – especially to people worried about free radicals or cellular injury. Rating? As far as sun products go, one can only do so much before exhausting the true purpose and meaning of sun protection and therefore I give this product a 8/10 ( a real pity about the non-waterproof). 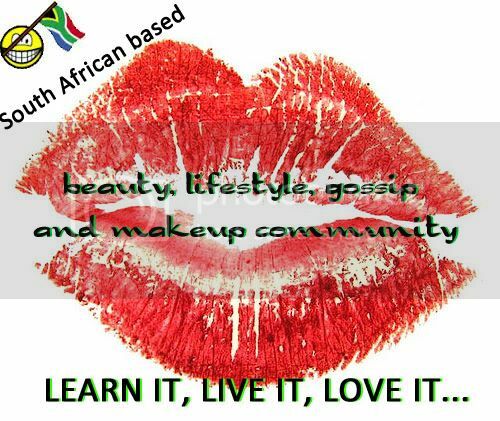 Check out Lamelle’s website, Facebook and Twitter @LamelleSA and let them know we sent you.